Our Clients & Their Comments | silence valley patagonia. Thanks so much for an amazing trip. We couldn’t have been able to squeeze all of these adventures in such a limited amount of time without your expertise. Just finished an awesome four-day W trek in Torres del Paine with my 20-year-old son and his friend. We booked our trip through Silence Valley Patagonia and they were fabulous!! Ivo, the owner, customized the trek to fit our schedule, abilities, and interests. Angie, the trip coordinator, was a fantastic resource and cheerleader. 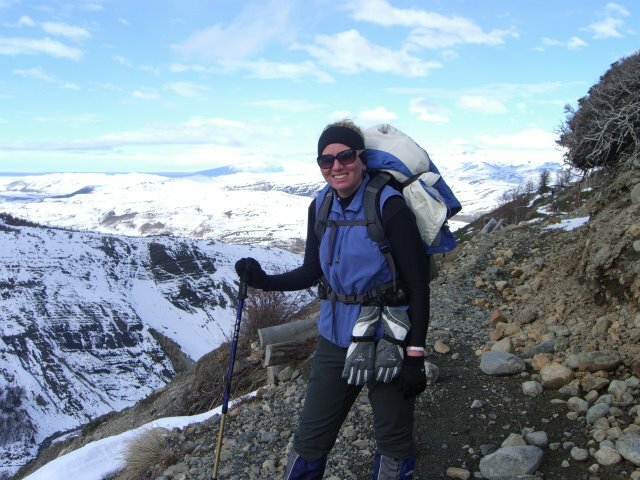 She gave great advice on clothing/gear to bring and was reassuring as she addressed any pre-trip jitters I had. (This was my first trek/hike/backpacking trip ever!) They both were also really helpful with tips of where to stay, eat, shop, etc. in Punta Arenas as well as Puerto Natales. Ivo was at the bus station to greet us and walk us to our wonderful hostel, Tin House, where the beds are cozy, the sheets are luxurious, and the comforters are down. The owners, David and Laura, are nice as can be. It was fun to see David out on the trail, and Laura is truly a miracle worker as she solved problems from hiking boots left on the bus to bus tickets lost on the trek~ always with a calm smile! Our guide, Niko, was a perfect match for our group. He was so personable, friendly, knowledgeable, funny, experienced, patient~ I can’t say enough. And of course, Nature provides the grandeur that is indescribable~ towering snow-capped granite peaks, raging rivers and waterfalls, GLACIERS and ICEBERGS, dense forests of wind-gnarled trees. Trekking the W at Torres del Paine is a trip I wholeheartedly recommend, and our support team at Silence Valley Patagonia and Tin House hostal made it a wonderful experience! Wow! Where do we start!? We both headed to Patagonia at the beginning of October, having done so much research via the web. There are so many tour companies and guides available, but I think we hit the jackpot when we came across SV Patagonia. Our initial contact was with Angie. She was FANTASTIC, answering every single one of our questions, queries and problems within a few hours of us having sent an email. She was very professional and I cannot commend her enough for that. We felt really special and our trip was tailor made for us. Even last minute changes and problems with payments were not an issue for her and she reassured us totally. When we eventually landed into Punta Arenas, we felt as if Angie were an old friend as she was there at the airport with a big smile waiting for us with a driver. – She’d even got up at 2am to make the journey – now THAT’S customer service! She explained the whole ritual of mate on the bus, how you share it with friends and we shared the drink. It was a really nice touch! We then were filled in a little more about the trip, told about our guide and issued with tickets etc. After 3 hours, we arrived into Puerto Natales, Angie had suggested 3 hotels / hostels and we were so very pleased with her suggestions once again. We stayed at the Indigo, an amazing, reasonably priced Spa hotel, it was to be just the job after a day trekking! It was really beautiful, the staff were great and sitting in the roof top jacuzzi with a bottle of wine at the end of the day really hit the spot! On our trip we wanted to do some kayaking and as a first timer, I was a little nervous. However, I had nothing to worry about as SV Patagonia organised everything for us and we spent an amazing afternoon crossing the fjord. I suppose the most important part of our trip was our trek to Torres del Paine and our guide Ivo. We met him and Angie at a local restaurant the night before the trip and he went through everything with us in detail, answering any further questions. Ivo, is one of a kind, a true adventurer, mountaineer and all round expert on Patagonia. His love for this part of the World is palpable and he not only has a thorough knowledge of all the flora and fauna, but he knows all about the mountains, the lakes and the history of the area. He was highly aware of safety and as two novice trekkers we were reassured by that. We were picked up the next day and headed out to Torres del Paine National Park. It was so stunningly beautiful it took our breath away! 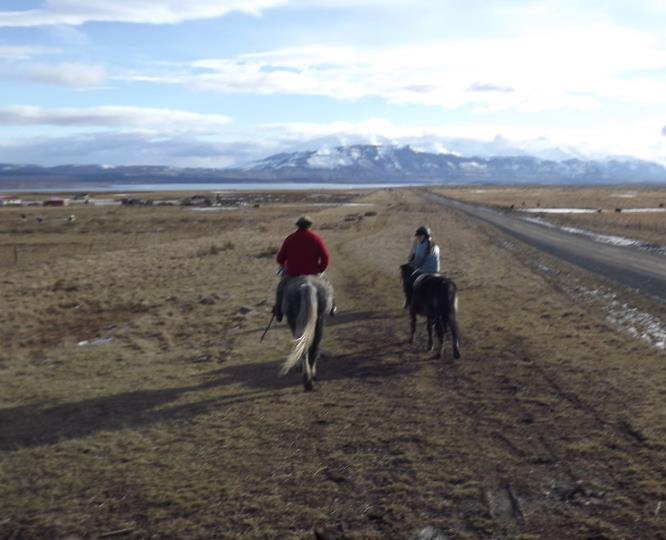 We knew immediately we had made the right choice with Ivo and SV Patagonia. Although it was a big walk and a real challenge, it was so totally worth it. We camped at a refugio after several hours walking and then headed up a steep rocky incline to view the towers. They were phenomenal and a real privilege to just sit there, looking at such an awe inspiring sight, taking them in and feeling proud of ourselves after our long walk. After a night in a tent (that was an experience too!) we headed back down to the start of our trek to commence a days touring on a minibus around some of the sights of the park, including the waterfalls, Lago Gray and many other viewpoints. We even made an impromptu stop on the way back at the Milodon caves, none of which was too much trouble for Ivo and our driver. Ivo was always happy to stop the van to take photos, or to point out a Condor to us or to just chill for a few minutes and take in the view. When we left Puerto Natales, Angie and Ivo had even booked our bus tickets to El Calafate, onward hostals in Argentina and an ice hike tour of the Perito Moreno Glaciar. Everything went soooo smoothly, transfers, drivers etc. It was wonderful! To sum up, I cannot recommend SV Patagonia enough. Both Angie and Ivo were so professional, this newly formed tour company deserves to do very well. Based on our experiences, I would recommend SV Patagonia to you unreservedly. Thanks Angie and Ivo, you made our trip so very memorable, the trip of a lifetime! 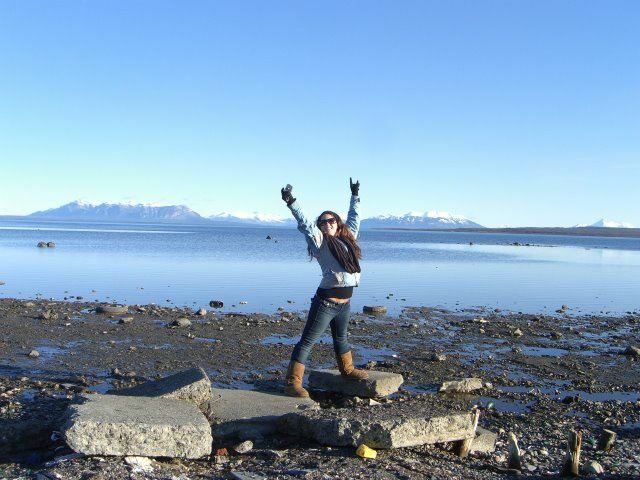 I had an amazing time on my trip to Patagonia thanks to SV Patagonia! I went in August on a two day trek with about 4 other people through Torres Del Paine. It was winter there, and that meant snowy and cold weather. I am from southern California so it was a bit of an adjustment to hike in the snow, but our tour guide, Ivo, made sure everyone was comfortable and going at the pace they needed. when we got to our camp site Ivo helped set everything up and get dinner started. From the minute the trek started till the moment we left there was a feelings of accomplishment and fun. We had the most encouraging guide, and I cant thank SV Patagonia enough! I have never seen views like the amazing snow covered mountains in Patagonia. They valley is so quiet and peaceful, it really is perfect. At the camp site there is a spot maybe 4-5 minutes away that you get an incredible view of the Towers of Paine. I would recommend SV Patagonia to anyone interested in trekking through Patagonia. I tell everyone I meet how this was one of the best experiences i have ever had. Thanks again SV PATAGONIA!! !